In just six days we traversed 1,030 miles of cactus-studded landscapes tallying an amazing 157 species of birds. At the beginning of the tour the city of Chicago’s wind chill was -53°F, so we were all thrilled about daytime highs reaching 75° with nothing but sunshine predicted all week long. 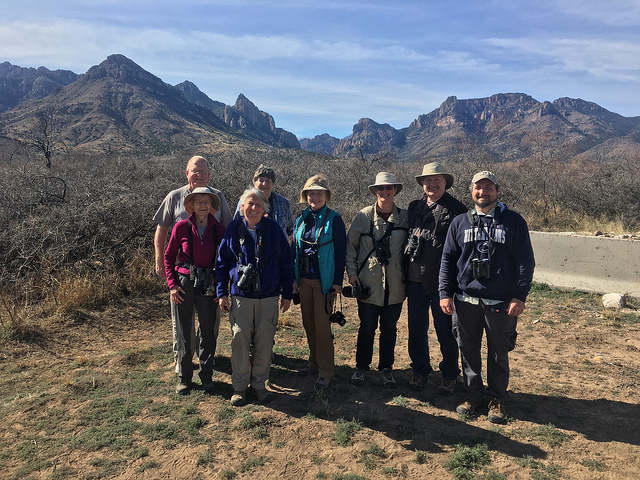 It was really hard to beat our first day’s excursion to one of the most famous birding areas in southeast Arizona. In the tree-studded Madera Canyon birds were gathering at some of the ripe hackberries. 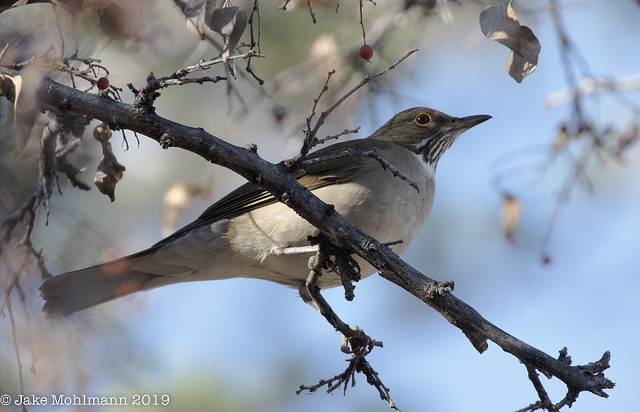 We sat in amazement as a White-throated Thrush, Arizona’s long-staying first state record, lit in one of the trees and gorged on fruit. 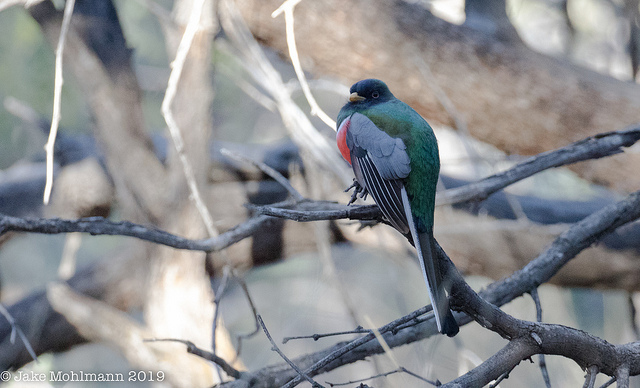 It was hard to pull ourselves away from all the excitement but we caught rumor a male Elegant Trogon was being seen upcanyon and coming in to a reliable food source. It wasn’t hard to spot all the birders lined up along the road revealing the correct place to look. As luck would have it he flew in for an extended photo session plucking berries in a flurry. It’s worth mentioning that across the street from this scene a Red-naped Sapsucker distracted us while digging wells, but more surprising was the male Painted Redstart that joined in checking the sticky traps. 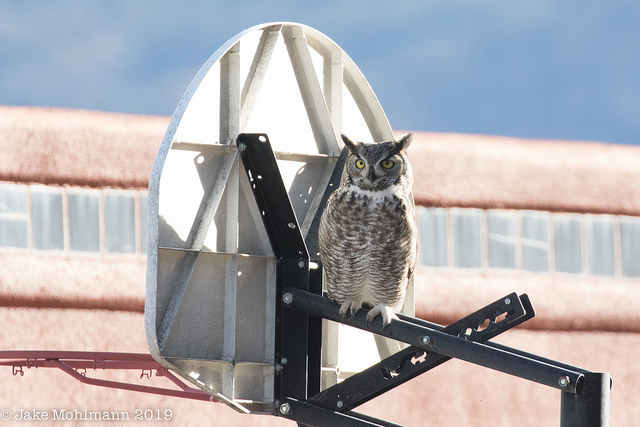 Later this same day the group was treated to a once in a lifetime opportunity when we watched a pair of Great Horned Owls emerge early and do their best making more owls. Just after copulating a family of Harris’s Hawks weren’t impressed and decided to attack the owls, forcing them to the ground with dust flying and talons entwined. This raptor wrestle match only ended when the outnumbered owls ducked into someone’s front porch and crawled in between the flower pots. 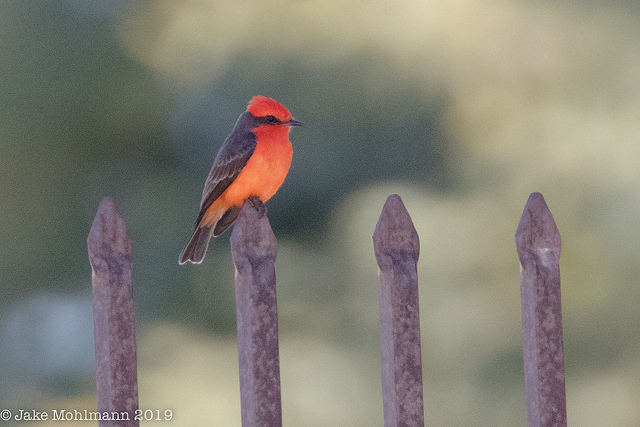 The Tucson Valley Christmas Bird Count tallies the highest number of wintering Vermilion Flycatchers in the country, of which we saw several. There is nothing like seeing these birds sit atop a perch and turn anything into a flaming candle. We visited many canyons throughout the week including Box, Carr, and perhaps the most scenic of all Cave Creek Canyon. The Cave Creek Ranch feeders were ripe with birds this year with barely any room at the feeders for the excess. 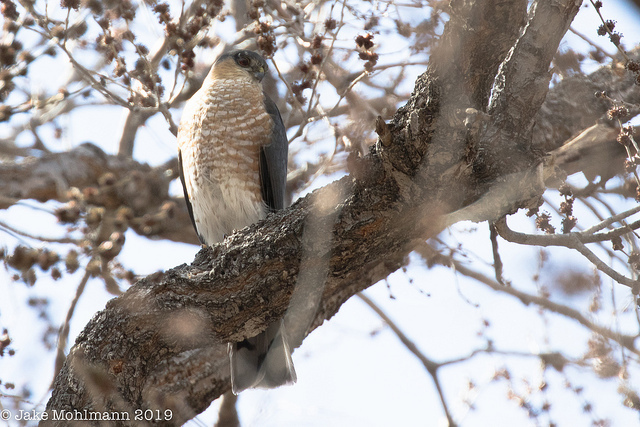 Blue-throated Hummingbirds drank from feeders, Golden-crowned and ‘Red’ Fox sparrow fed in the dirt, and an optimistic Sharp-shinned Hawk eventually flew in to steal the show. 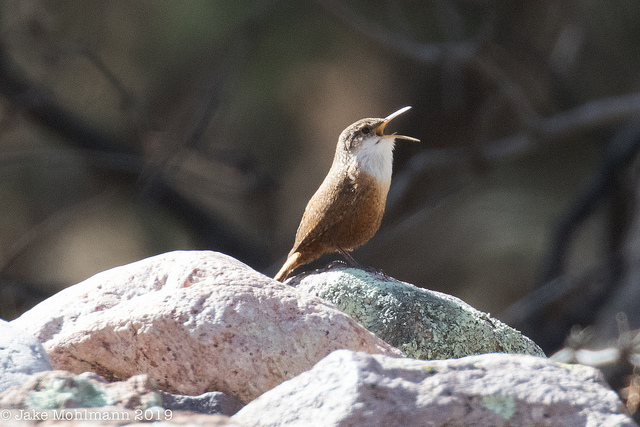 The only sound left was the cascading sound of the Canyon Wren’s song echoing off the rock walls nearby. In some years eastern warblers are encountered and this year was no exception. 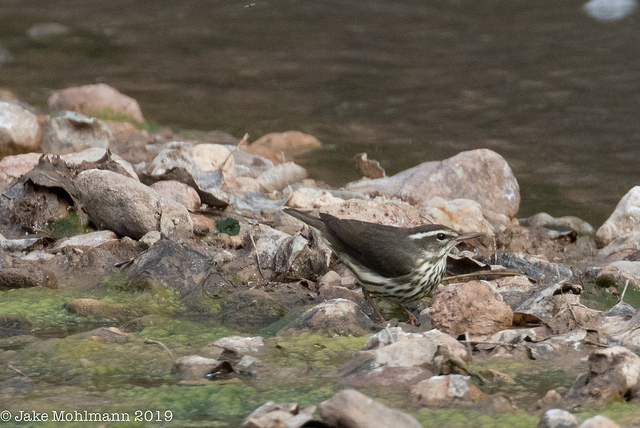 The best views one could ask of a wintering Louisiana Waterthrush along the San Pedro River was a highlight for many on the tour, including those whose nemesis bird this was from the east coast. No tour would be complete without a stroll around the famed Sweetwater Wetlands. This complex is perfectly placed along the Santa Cruz River and attracts lots of birds including some of the rarer marsh species. 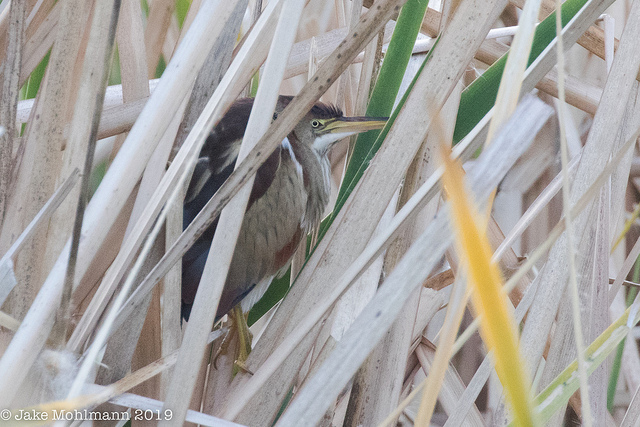 It didn’t take long for us to find a perfectly still American Bittern blending in perfectly with the vertical dead reeds. Even more of a surprise was the Least Bittern that MaryAnn somehow spotted near the top of the vegetation secretly surveying the scene.